For his next horror, The Conjuring, director James Wan is going back in time. Some first look photos from the paranormal thriller show us that the New England set story also takes place sometime in the 70s (look at that hair!). Vera Farmiga (Up in the Air) and Patrick Wilson (Insidious) plays a husband and wife team of demonologists and psychic investigators who enter the most horrifying case of their career as they investigate spirits in a Rhode Island farmhouse. Ron Livingston and Lili Taylor look to be the haunted couple, probably pretty anxious to get whatever spirit or demon in their house, out right away. 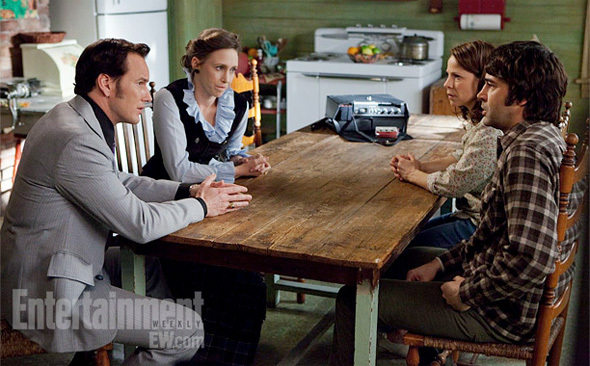 James Wan directs The Conjuring from a script by Chad and Cary Hayes (The Reaping, House of Wax). 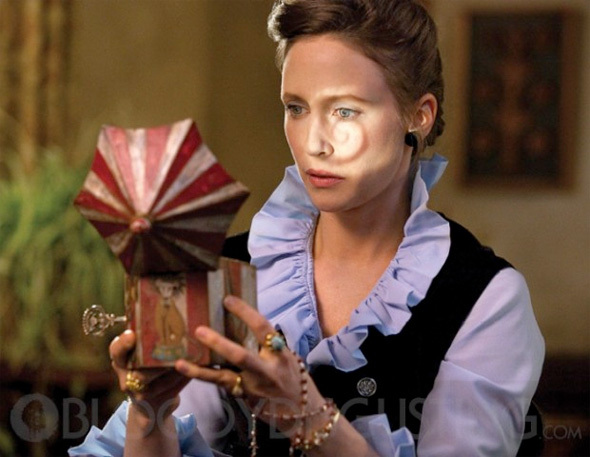 Vera Farmiga and Patrick Wilson play paranormal investigators Ed and Lorraine Warren, looking into a case at the Perron household (Lilli Taylor and Ron Livingston) where strange things are happening, including a dead boy appearing in the mirror of a music box. The film arrives next summer July 1th, 2013.
love wan and all four of the lead actors......oh, how i hope this is good! I love Wan for "Insidious", so I'm excited to see this.